One of the primary features that makes Malle so unique is that he was a stylistic chameleon. He almost never repeated himself. He worked hard to avoid being pigeonholed. He made film noir; French language drama; English language drama; gangster films; documentaries in three countries (France, India, and the United States); whatever the heck My Dinner with André was; and short films. 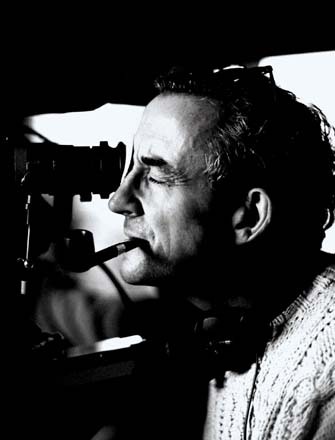 Few, if any, directors have a filmography as rich and diverse as Louis Malle. And he wasn’t tackling new genres simply for the sake of trying out new genres. He excelled in all of those categories. Like so many other great filmmakers, Malle’s work is deeply personal. Screenwriters are told to “write what you know”. Malle succeeded in this regard. For instance, Au Revoir les Enfants is based on Malle’s own childhood. To a lesser degree, he drew strongly from his own experiences when creating Murmur of the Heart and Lacombe Lucien. He created …And the Pursuit of Happiness– a documentary about the immigrant experience in America- at a time when he was becoming an American citizen. The strongest example of the way that Malle made films personal came inThe Fire Within. Malle adapted Pierre Drieu La Rochelle’s book into something more modern, something more relatable. At the time it was adapted, Malle was something of a wünderkind. He had attained massive success with films like The Lovers, Elevator to the Gallows, and The Silent World, all before turning 30. The notion that he may have already peaked, and his own personal demons, took him to a very bad place. And it’s from this place that he created the adaptation of The Fire Within. He even went so far as to suit Maurice Ronet’s character, Alain Leroy, in Malle’s own clothing. Malle understood that people don’t need a director’s influence to tell a story. The camera, left to its own devices, is the perfect instrument to capture humanity. In a post-modern nod to his French New Wave roots, he’d playfully get involved from time to time (in his documentaries). But even then, he became part of the film. It was a reminder that you, the viewer, were watching a film about a filmmaker making a film. Half the fun of these movies wasn’t what people were doing; it was the way they reacted to Malle. Each one of his documentaries illustrates this concept. It even bleeds into his non-documentary films from time to time. It is my favorite film ever made for many reasons. As I mentioned, it’s deeply personal to Malle. It’s uncomfortable to watch but it still lures you in to Alain Leroy’s world. It’s tense. It’s challenging. It’s also highly rewarding, even if it is one of the most depressing movies ever made. Humain, Trop Humain is 70+ minutes of auto factory footage. There is no narrative. There are no interviews. The only break at all that you get from the everyday workings of the factory is a brief clip of a hectic Peugot showroom. It’s mind-numbingly boring. I appreciate what Malle wanted to do. By showing the incredibly boring monotony of this factory, he wanted to show the viewer how tough some people have it in their everyday life. It’s a noble goal. And he succeeds… after about 20 minutes of it. Tacking on another 50 minutes is just piling on. The trouble with My Dinner with André, amongst other things, is that it isn’t really Malle’s work. His camerawork is there, and it’s a challenging film to watch, but the film is completely dominated by dialogue written by and for André Gregory and Wallace Shawn. Malle is just along for the ride. To say the least, it’s not very representative of Malle’s work. And if you’re looking for a Malle introduction, it’s just about the LAST place I’d recommend that you start. Irreverence. Irreverence. Irreverence. Did I mention irreverence? There’s not a single social institution that’s safe from Buñuel. He needles religion in Viridiana, The Milky Way, Death in the Garden, Simon of the Desert, and L’Age D’Or. He assaults class structure in The Discreet Charm of the Bourgeoisie, Diary of a Chambermaid, The Young One, Los Olvidados, Death in the Garden, The Phantom of Liberty, and The Exterminating Angel. He pokes great fun at sexuality in Diary of a Chambermaid, The Phantom of Liberty, The Brute, That Obscure Object of Desire, and most notably in Belle de Jour. He hammers away at general social conventions in… well, just about everything he ever made. In short, there is absolutely nothing held sacred for Luis Buñuel, not even something as basic as what our eyes can tell us. He had an uncanny knack for taking the building blocks of society- language, structure, meaning, discipline, the senses- and exposing them as malleable man-made creations. And he did so in a really amusing way. Humor was another major element of his style. In a lot of ways, you could picture Buñuel’s films as satire for sociology geeks. It should come as no surprise that Buñuel was once great friends with Salvador Dali. In fact, the two collaborated on Un Chien Andalou and L’Age D’Or. His early work was notable for some of the most incredible mind-bending images you’re likely to find from the silent era. And those type of visuals carried on throughout his career. From one film to the next, the imagery and actions from his films matched the conceptual surrealist absurdity that he was espousing. For instance, the dream sequence from Los Olvidados was a highly important segment in film history. The crawling, severed hand from The Exterminating Angel is an enduring image. Buñuel was a master of taking common, somewhat ordinary animals- found in most zoos- and using them in the oddest places in an effort to create a Jungian response of unease in his film’s viewers. As tension rises in Death in the Garden, the hum of jungle cicadas and various other bugs increases in volume. It enhances the fear and tension. At the dinner party in The Exterminating Angel, a flock of sheep wander around aimlessly in the house, and a bear resides in the kitchen. It helps fuel the insanity. The Phantom of Liberty features first a rooster and an ostrich just a few minutes later wandering into a couple’s bedroom at 1:00 in the morning. Everywhere you turn in the Buñuel filmography, there’s some sort of out -of-place animal. And in the end, it really didn’t mean anything. I’m pretty sure that Buñuel would tell you exactly that. His films featured a series of juxtapositions of language and meaning, seemingly cryptic symbols, and a deeper philosophy to everything. That’s probably the greatest joke he ever played. None of it had any meaning. They weren’t symbols of anything more powerful. They were a random assortment of objects and actions, cleverly disguised to look like something when it wasn’t. Just like a lot of things in life, many of the things that we take to have a greater significance are nothing more than random events whose only meaning is whatever we, as people, give it. All sound and fury signifying nothing. These two films best exemplify the stream of consciousness and absurd assault on the senses that one finds in a Buñuel film. In Un Chien Andalou, it’s visual surrealism; in The Phantom of Liberty, it’s more conceptual. These really weren’t that bad, to be honest. They were structurally decent films. But they lacked much of the “special ingredients” that turn an ordinary film into a Buñuel film. Who takes it? Whose cinema reigns supreme? I love Louis Malle and hate that he doesn’t get the respect that he deserves. He tackled more genres and more challenging subject matter than most directors can even dream of. But holding him up side by side with Buñuel seems like a really pointless exercise now that I’ve thought things through. I’m not sure that Malle placed any sort of enduring stamp on future films. 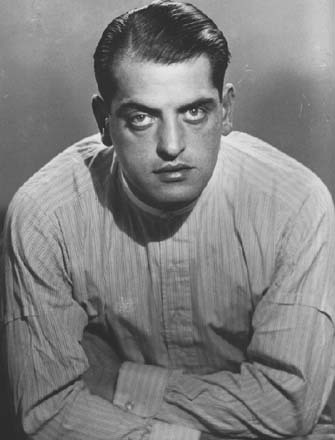 Buñuel, on the other hand, accomplished things in the early, mid, and late parts of his career that will have echoes for as long as people are still making movies. One of the few advantages that Malle would have over most other directors- his challenging and taboo subject matters- is irrelevant in the face of the irreverent Buñuel. Malle also had a few films that genuinely elicited negative responses from me, whereas Buñuel has made no such film. The worst I’ve ever felt about a Buñuel film was to shrug my shoulders and say, “Meh, it wasn’t terrible, I guess”. For a few Malle films, my reaction has been “That was awful”. And while Malle’s films carry some intellectual weight, they wilt in the face of Buñuel’s humorous sociology experiments. The winner by technical knockout: Luis Buñuel. Strangely enough, Community (NBC Thursday night sit com) did a parody of My Dinner with Andre’. In the same episode, everyone dressed as different Pulp Fiction characters. I loved that episode of Community! I just love that show, period. As for the Iron Directors, I’ve seen one movie mentioned above. While I find Pretty Baby to be extremely controversial, it is a beautiful period piece with excellent acting throughout. Agreed. And I wish Netflix had Vanya. I think I’ve said this before, but you should do Bergman vs. Kurosawa in your next Iron Director post. I’m taking an educated guess that they’re your two favourites, and I’d be really interested to see the results. I like Kurosawa a lot, and I admire his skill as much as any other director, if not more. But alas, he’s #5 on my list. Buñuel is my #2. The quandary with comparing anyone to Bergman is that who I’d pick as the winner would be the worst kept secret in the world. There isn’t a single director out there that’d top Bergman for me. Or at least, I haven’t encountered that director yet. I just got my hands on a copy of Au Revoir Les Enfants, which I will be watching hopefully soon. I’ll try to check out more Louis Malle, but I’ve been unable to find a copy of The Fire Within. Curses! The only two Malle films that my local DVD rental store had were this and My Dinner with Andre. 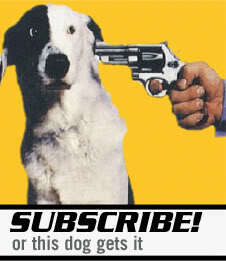 But there are other options! I’ll have to get some more online. Best of luck. I’m such a huge fan of the guy. “My Dinner with Andre” is a bit of a divisive film- either love it or hate it. I was more or less in the “hate it” camp. It’s not particularly indicative of his work (that’s how I rationalize how much I disliked a Malle film).